After taking up residence at Red Ridge Hall, ancestral home of her deceased mother, Leah learns dark secrets and unthinkable truths while being drawn in by the unsuitable yet enigmatic Grayson Slade. After suffering unparalleled tragedy, Leah Middleton knows she’s fortunate to be taken in at her deceased mother’s ancestral home. 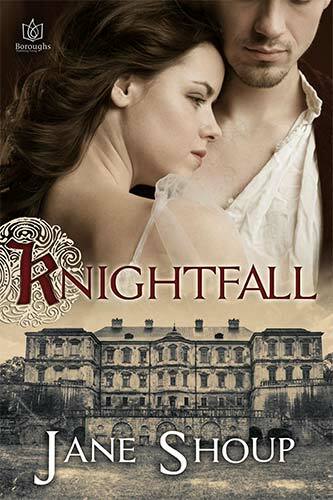 But the disdain her family – The Knights of Red Ridge Hall – held for her free-spirited mother is transferred to Leah, and they revel in letting her know it. A proud and noble family, the Knights hold expectations Leah doesn’t believe she can meet, certainly not while staying true to her loving, system-defying parents, and especially when it comes to Dr Grayson Slade. He is as far from a desirable match as her family could imagine, and to make matters worse, she learns he holds secrets that can tear her newfound security from her tenuous grasp. Doctor Grayson Slade is assistant to Dr Theodore Knight, founder of The Knight Society, a benevolent institution for unwanted and ill children. Grayson himself was rescued off the streets of London as a boy and he wants no more in life than what he has attained. Until the moment he lays eyes on Leah Middleton. But evil is flourishing, and he can only do so much to stop it. As mysteries begin to unravel, unthinkable truths are revealed and a malevolent threat closes in. Grayson knows he has no choice – he must do what’s right to keep Leah’s love.